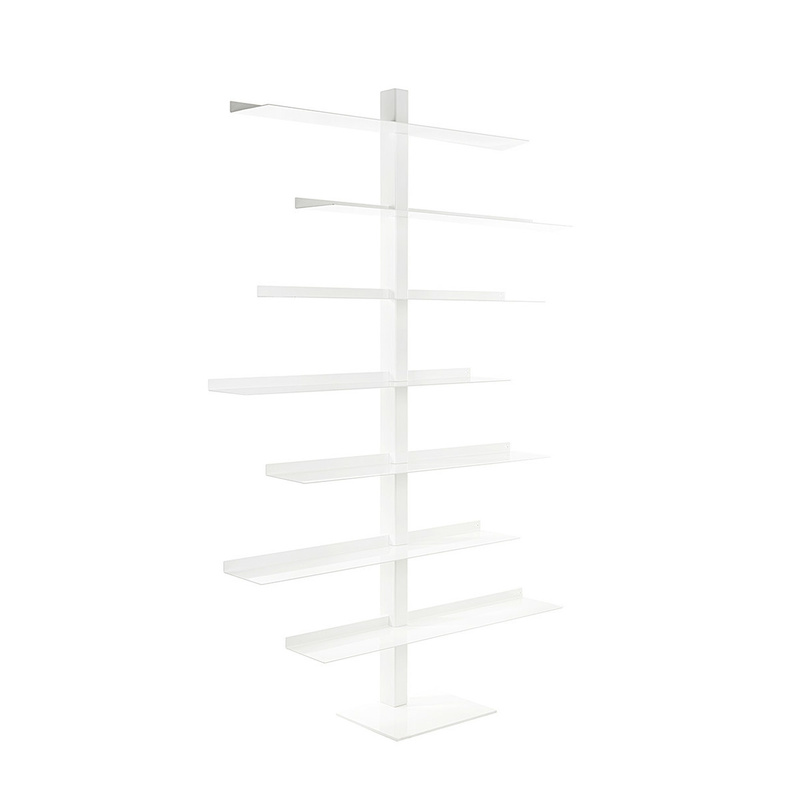 A versatile and functional library, Apollo bookcase is thought for those who love many books but have not enough space, because it stretches vertically. 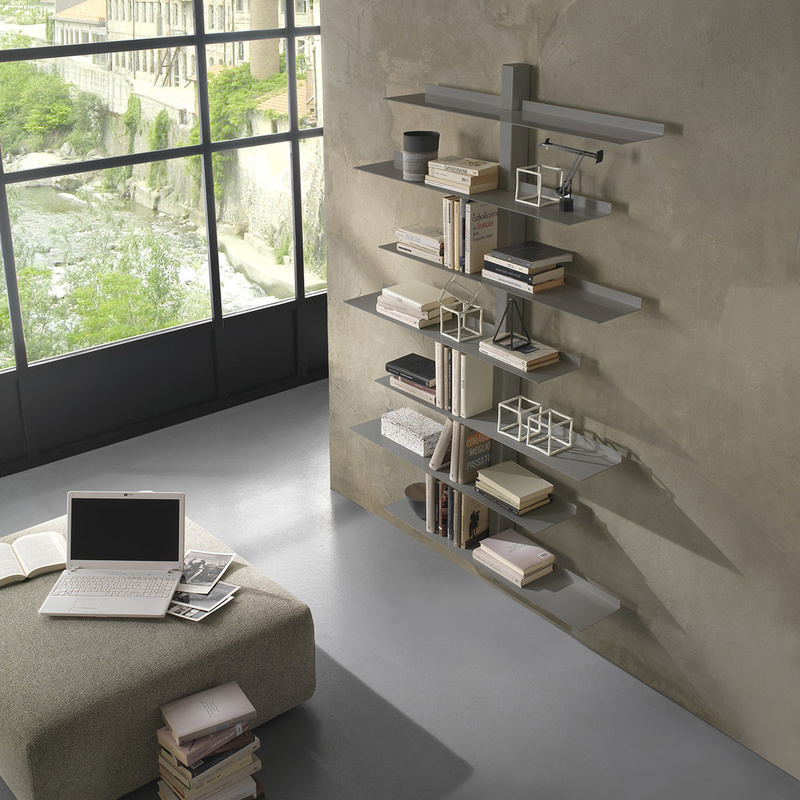 Thanks to its seven shelves, you can create numerous compositions and combinations. Apollo gives its best in the office or in a minimal space. This modular bookcase is the perfect solution if you want to create a shelving system tailored on your needs and on your spaces. 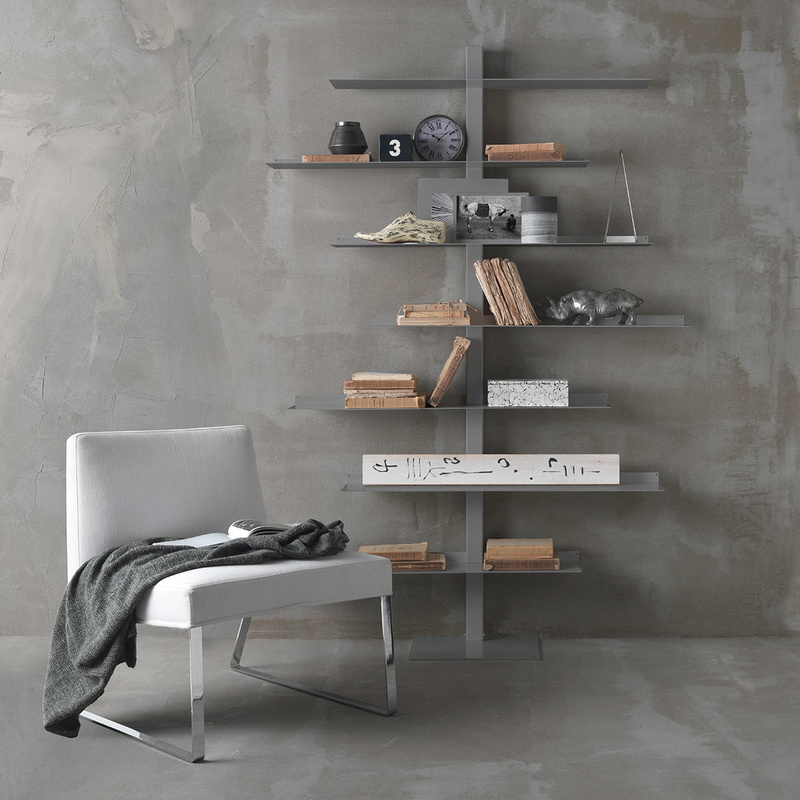 Made from powder-coated steel, this shelving system by Italian brand Siderio is composed by 7 shelves - each 1 metre long. 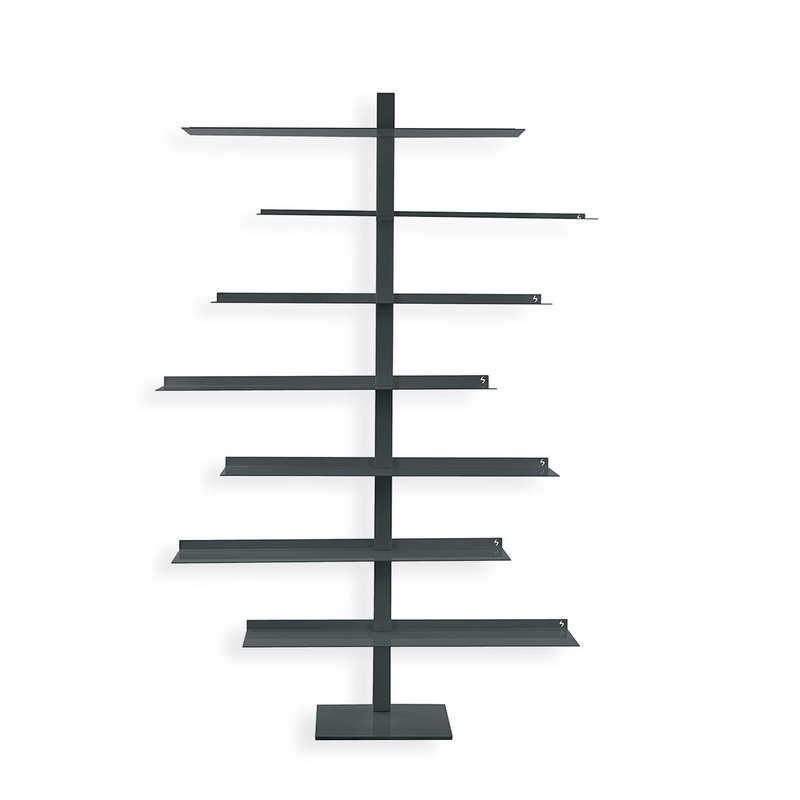 Apollo can be either wall mounted or placed on the ground, while all shelves can slide on the central axis according to your needs. 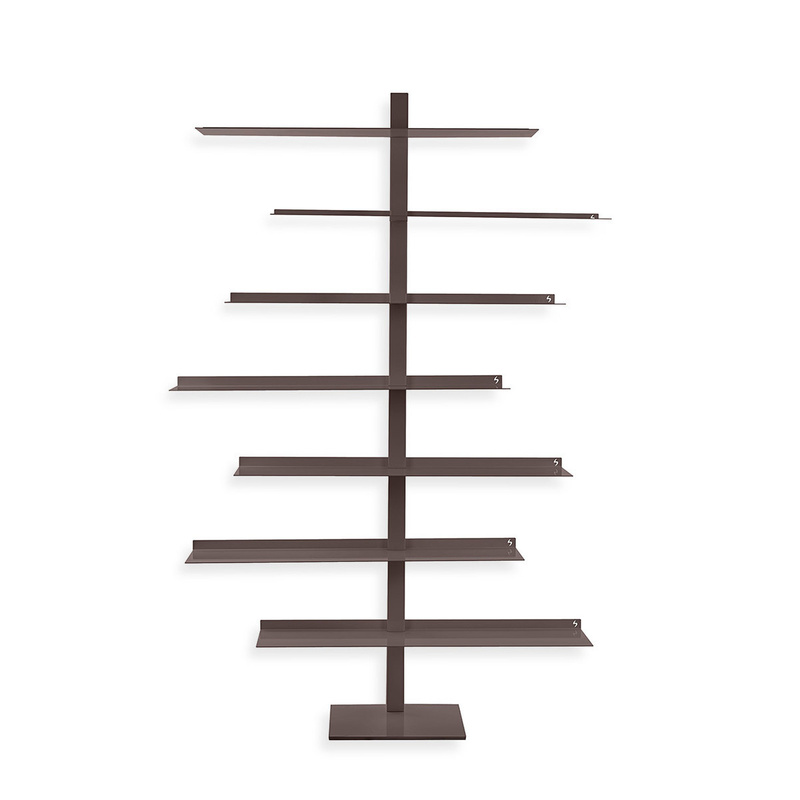 Moreover, you can place two or more Apollo bookshelves side by side to create the perfect composition for walls of any length. The pure, minimalist style of Apollo will be a perfect fit for all kinds of homes, from modern to classic, from minimalist to cosy and traditional. Apollo is so versatile that everyone will love it! Steel sheet is 2.5 mm thick and comes in a choice of four colours, so that you are sure to find the one that better suits your interiors and your mood. 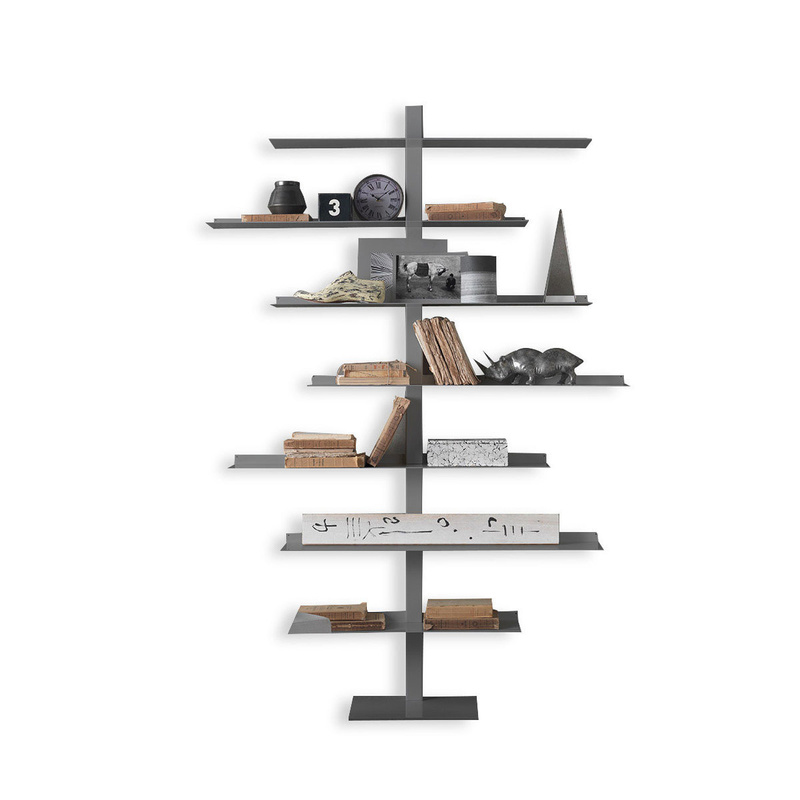 Thanks to its versatile, creative shape, Apollo will look perfect in any room of your home, ready to take good care of your books, magazines, souvenirs, photo frames, travel memories and more. Use it in your living room, sitting area, home office area, bedroom, corridor - it will add a touch of sophisticated class to all of them. Why not try it in children's or teenagers' bedrooms as well? 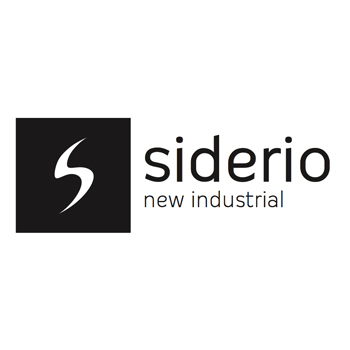 Siderio is a modern and innovative Italian company that placed steel in the hands of its skilled craftsmen, turning it into a versatile, warm home element. 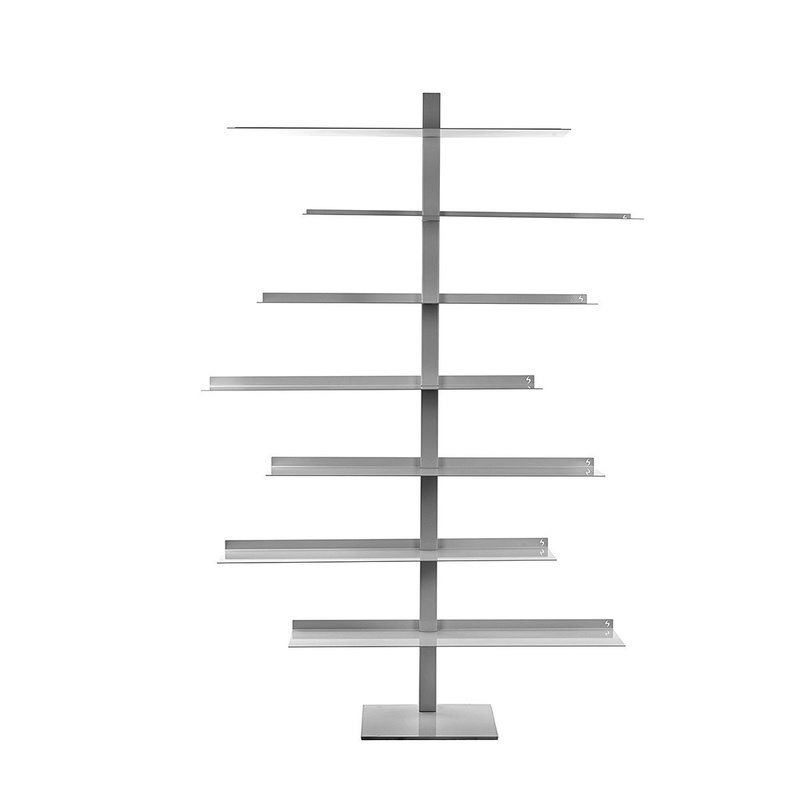 Steel will be perfect to decorate your home in style if you love to have always the best of design around you.